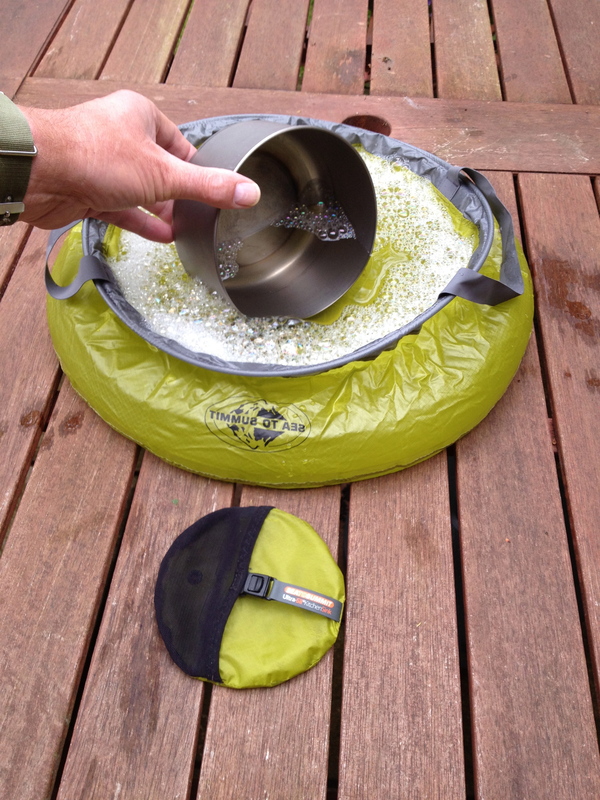 For all those who, like us, like to travel with everything including the kitchen sink(! ), we would like to point you in the direction of Sea to Summit’s new Ultra-sil lightweight kitchen sink. This bowl is as large in capacity (10 l) as the well-known Ortleib folding bowl but a fraction of the weight (approx. 5.2 g compared with 260 g) and is much smaller in packed size – although you do need a degree in origami to get it back in its carrying pouch! It does provide camp entertainment should you find yourself with a few spare moments to while away the time! This bowl, as any other camp bowl, can be used for washing up, washing clothes, collecting water, rinsing fresh food, etc. It can be turned inside out (as you can see from my photo – unintentional!) and used for personal washing, if required. 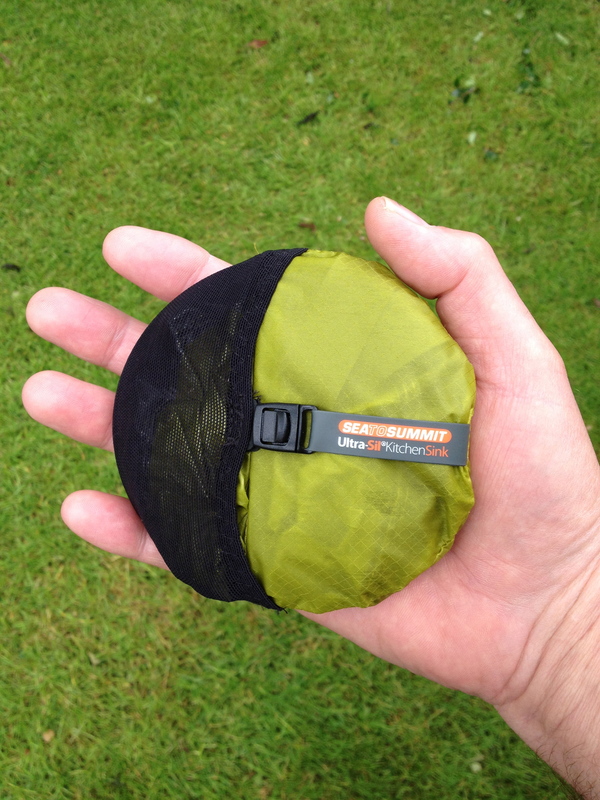 The bowl is made of Ultra-sil Cordura nylon fabric, is seam sealed and leakproof and dries very quickly after use. The carrying handles are made of Hypalon and are also lightweight and strong. The only drawback I can think of is that it could be easy to puncture with a sharp pointed knife, for example, if you weren’t careful. I would certainly recommend this bowl if you’re looking for lightweight equipment. Categories: Backpacking, Bike, Cycle touring, cycling, Hiking, Photography, Travel, Walking | Tags: camp bowl, Camping, Cordura, Cycle touring, Cycling, equipment, Hypalon, Kitchen, kitchen bowl, kitchen sink, Lightweight, Sea to Summit, Travel, Ultra-sil, Washing | Permalink. 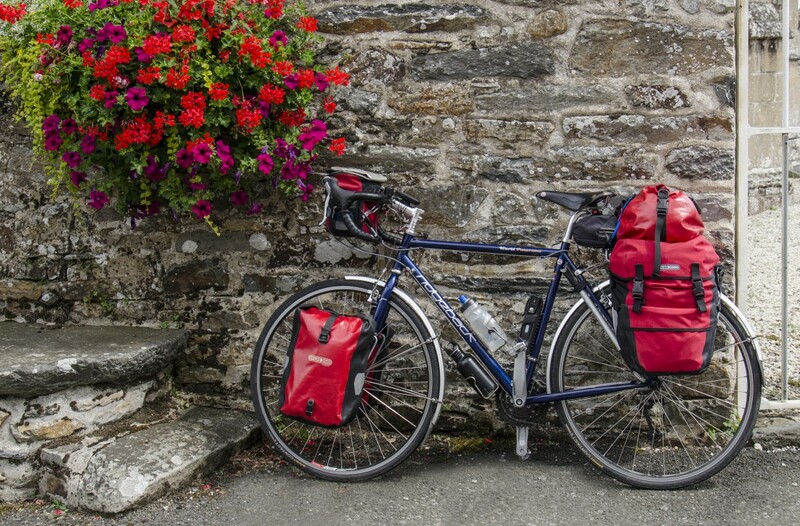 You will have to let Peter know about this item….he likes to take the kitchen sink on backpacking and cycle touring trips….! It occurs to me that perhaps you should change the name of this blog to something to do with Buses. I’ve waited for nine months and now two have arrived in one day..!! Well I hope it was worth the wait!! !